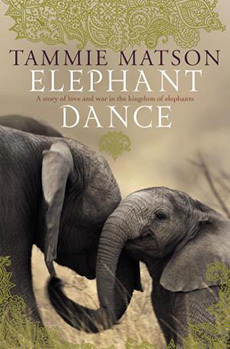 Dr Tammie Matson is a world expert on elephants and has inspired thousands of people, from children to adults, to achieve their dreams through her award-winning books, speeches and African adventures. Inspired by a visit to Zimbabwe at the age of fifteen, Tammie achieved what many said could not be done as a young woman from North Queensland, by first becoming a wildlife researcher in Africa, then achieving a PhD in zoology and becoming a published author – all before she turned 25. From the jungles of Borneo, to the plains of Africa, to the black markets of Vietnam, Dr Tammie Matson has been on a mission for over two decades to save endangered wildlife. She has survived charges by lions, been almost crushed by elephants in the Namibian desert, stood up to angry Zimbabwean war veterans and seen first hand the brutal war against ruthless poachers and the bloody carcasses of the wildlife she loves. 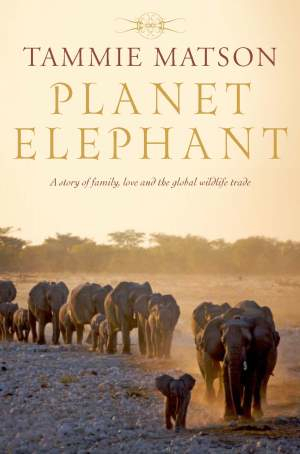 She has met presidents and traffickers in palaces and tourist markets, journeying to the dark heart of the dark illegal ivory and rhino horn industry in South East Asia. 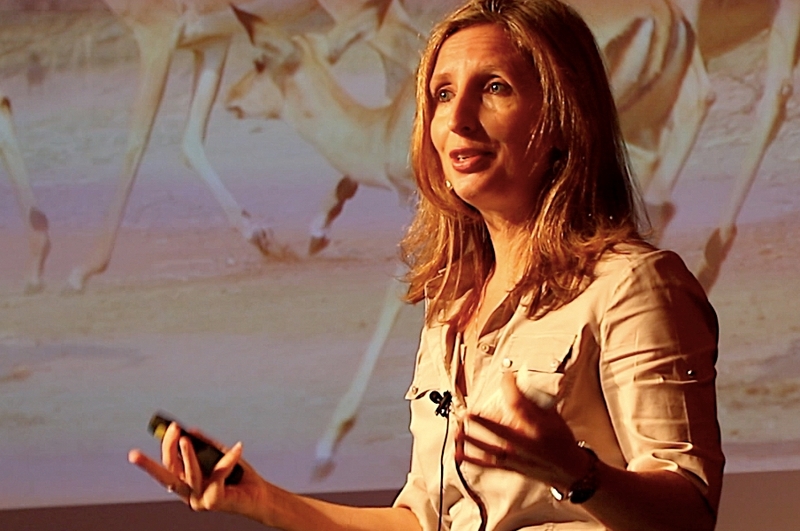 Today, she balances her passionate commitment to conservation with running her ethical safari business, Matson & Ridley Safaris, and being a mother to two sons under age 8. 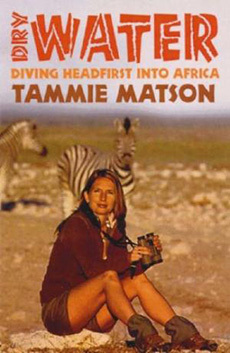 I consider myself incredibly blessed to have been able to experience my first journey to Africa under Tammie’s guidance. I travel far too often but this journey is one that has changed my life and has put a giant notch deep in my heart leaving me feeling that Africa is my second home. Hassle free, magical and breath taking. When are we going back? It was such a wonderful time. The group was great thoroughly enjoyed our meals with each other as it was still intimate with the 13 of us! Such fun we had! With you as our leader you were just perfect! I am so glad I have met you (finally) and travelled with you, you are an inspiration! Keep up all your fantastic work! We had an absolutely brilliant time! Rates on par with the Galápagos Islands for me. All went according to plan and even at Xigera, where birds are the focus, Julian and Maria were happily entertained by the colours and variety. The whole trip was just perfect in terms of variety, and everywhere we went the guides were great. I can say ,most sincerely, that the highlight for me was the seamless, trouble-free experience you created. Everything went exactly to plan. I appreciate deeply how you turned what was a somewhat complicated arrangement into a truly memorable adventure for us both. I will recommend without hesitation your services to everyone I meet who would like to go on safari or suchlike. Visting Zimbabwe with Dr Tammie Matson has been one of the most memorable trips for Dish and I. Her knowledge, admiration and most of all love for the people of Africa changed the trip from being just tourist safari to an experience with the locals she knew well. On the trip we saw over 100 elephants, 13 lions, 3 leopards, 12 wild dogs, baby hyenas (pretty much baby everything) a cheetah and a truck load more! I became great friends with everyone on the trip and we plan to stay in touch. I also became great friends with the staff at all three camps and I even got to make my own traditional bracelet and was crowned queen of the Okavango delta. In 2009 Tammie Matson helped me organise a safari trip to the Okavango Delta, the Moremi Game Reserve and the Linyanti Reserve in Botswana, Africa. This journey was without a doubt one of the most fantastic holidays me and my wife have ever undertaken. Tammie’s knowledge of the best places to go and best camps in the Botswana to stay at, made the whole trip a magical experience. It was such a privilege to lose my safari virginity with you. I remain overwhelmed and so grateful for the opportunity to see up close the heroic beauty and magic of all those animals.